The reserve is fairly isolated and the nearest village of San Gerardo de Rivas is 2.5 km away (a 30-minute walk). The nearest large town is San Isidro del General, 20 km or a 1-1.5 hour bus ride down the mountain. Click here for detailed directions to Cloudbridge. For guests arriving via bus, we can arrange for pick up in San Gerardo for $15 per pickup. This service needs to be arranged in advance of your arrival. Cloudbridge is located in a steep mountain environment at an elevation of 1550-2600 m (5085-8760 ft). Getting to most places in the reserve requires walking up or down steep slopes or stairs. The steep terrain and high elevation can make it physically demanding for most people, especially in the first few days as you get accustomed to the thinner air. However, the views, birds, plants and animals make it well worth the effort! 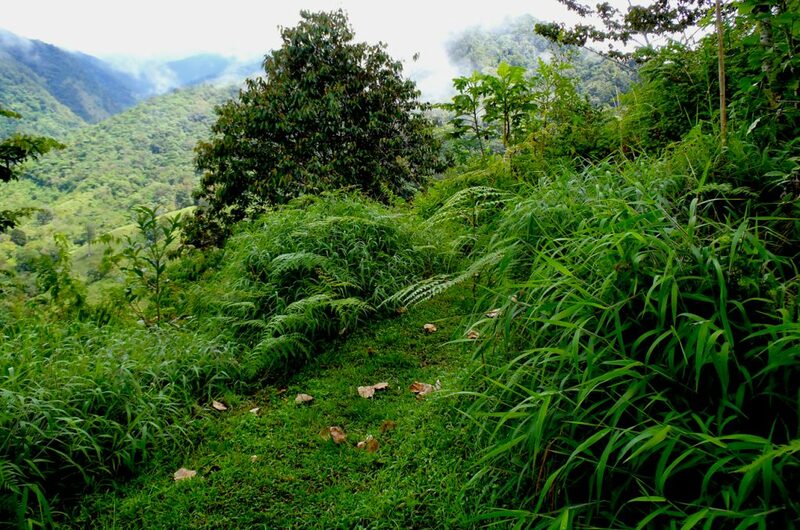 Steep climbs and stunning views of the cloudforest on the Montaña trail. Temperatures at Cloudbridge are typically cooler than in much of Costa Rica and most people find the temperature quite pleasant. Year-round, daytime temperatures can reach 21-30 °C (70-86 °F) in the afternoons, while nighttime temperatures range from 13-20 °C (55-68 °F). Throughout the year, mornings are typically clear and sunny, and if it rains, it almost always rains in the afternoon. During the dry season (December through May), temperatures are usually a bit warmer and very little rain falls. In the rainy season (May through December), it rains in the afternoons almost every day for about 4 hours, starting any time from mid-day to early evening. 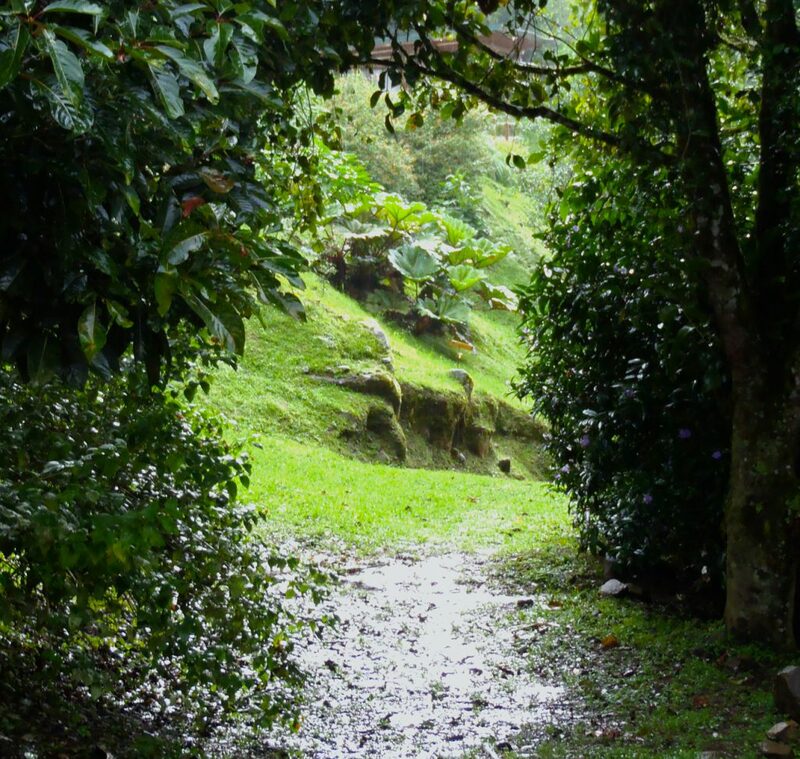 A rainy afternoon is a beautiful thing when you’re in the cloud forest. There are fewer snakes and insects at this altitude compared to the rest of Costa Rica, but there are some. There are a few species of venomous snakes at Cloudbridge, however, they are shy and we have no records of anyone being bitten. There are mosquitoes and some other biting insects, such as chiggers and ticks, although none have bites that are life-threatening. The elevation of Cloudbridge reduces your risk of mosquito born diseases. Insect repellent is recommended. 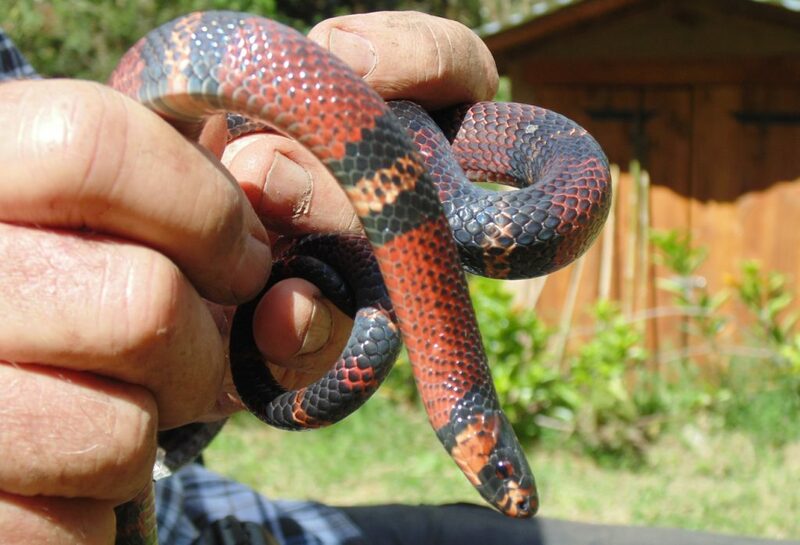 Most snakes at Cloudbridge are harmless, like this juvenile Milksnake (Lampropeltis triangulum). For guests who rent any of our cabins, Cloudbridge will wash personal laundry for a cost of 2000 colones ($5 USD) per load or 1000 colones ($2.50 USD) for a half load. All laundry is hung to dry, and in the wet season (May – December) clothes can take several days to dry. Therefore, clothes made of light, quick-drying fabrics are recommended. There are no phones at Cloudbridge. Cell phone reception is limited at the reserve and is usually only accessible from a few places. The nearest public phone is outside the Hotel Uran, a 10-15 minute walk from the reserve, which requires a phone card to operate. Skype and other internet based communications are options. Casita Colibri and Casita Blanca are equipped with WiFi. Guests at Gavilan Cabin are welcome to access internet from the Welcome Center or the Classroom. The cabins are equipped with basic cooking items (oil, salt and pepper, some other spices), but on the whole, you will need to bring all your food with you. There is a small grocery store in San Gerardo (30-45 minute walk from the reserve) where most people can find everything they need. If you have special dietary needs, stock up on any required specialty items (such as gluten-free foods) in San Isidro as San Gerardo has a limited selection (although lactose free milk is usually available). Cloudbridge provides transportation to San Gerardo on Sundays for shopping, and a few groceries can be bought at the Hotel Uran, which is a 10-15 minute walk from the Reserve. Fresh milk can be purchased from a local farmer just a 5 minute walk down the hill. There are several restaurants in the village of San Gerardo, as well as one at the Hotel Uran. There is a trout farm in the village where you can catch your own fish and either take it home with you, or have them cook it for you there. 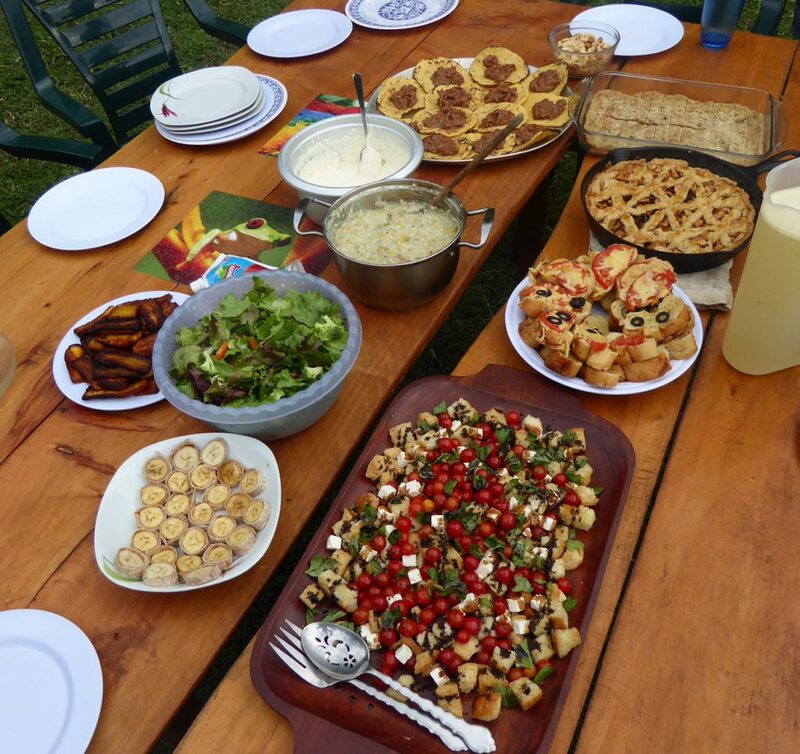 On Monday nights, Cloudbridge volunteers, researchers, and staff have a potluck (communal meal) in the Learning Centre, and our guests are welcome to join in. Everyone brings a dish and shares it with the group. It’s a great way to learn more about what we do here at Cloudbridge, meet interesting people from all over the world, and enjoy some tasty food too! Cloudbridge’s Monday night potluck is a blend of international flavors, thanks to our international visitors. The closest ATM is in San Isidro, so make sure to stock up on cash before heading up to Cloudbridge. Most local businesses in San Gerardo take Visa if you run out of cash. The clear, crisp Chirripó River is a great place for a swim on a hot day. 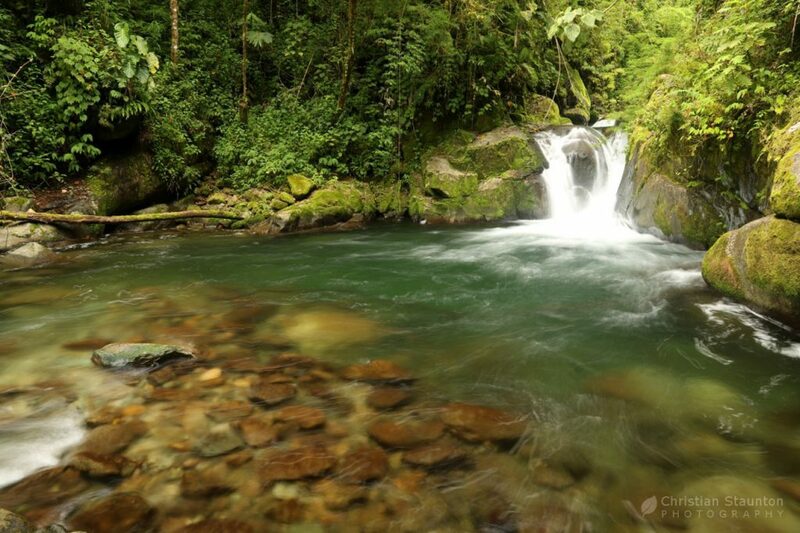 There are many hiking trails leading through the nature reserve, featuring waterfalls, rivers, and vistas. Please visit our hiking page for detailed information. We also offer a variety of day and night tours. Many Visitors choose to take the long, but scenic hike to Mt. Chirripó. 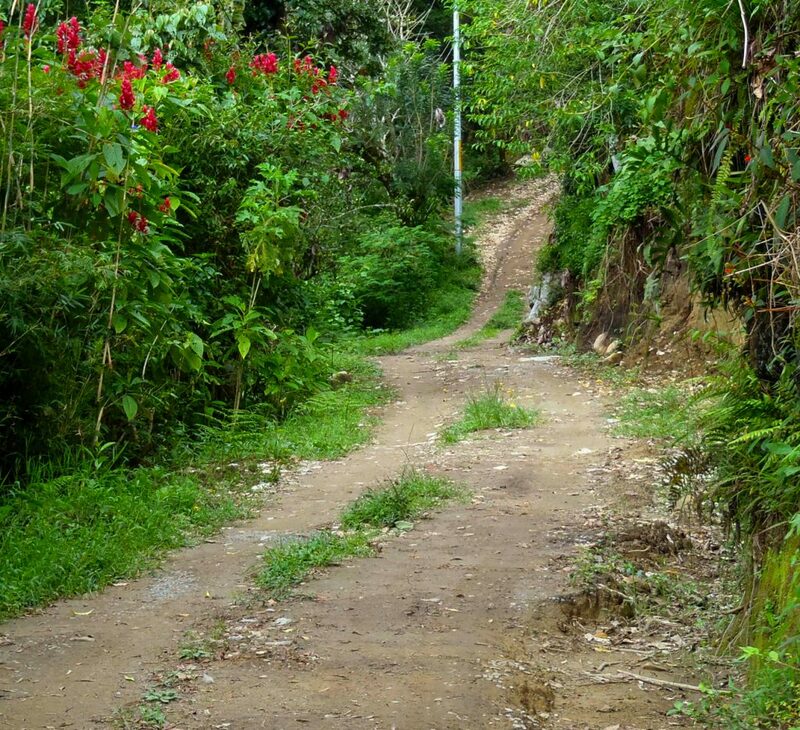 The hike there can be accessed through the Nature Reserve’s Montaña Trail. Visit the Cerro Chirripó Parque Nacional Website for more information! There are many things to do in the San Gerardo area, including yoga retreats, local swiss cheese and goat cheese makers, a chocolate factory, thermal springs, and many more. Visit the San Gerardo Website for more information!